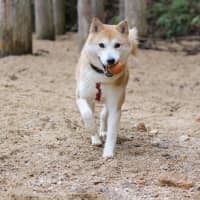 Kilda, a Shiba cutie with a passion for playing ball, came to ARK from Heart Tokushima, a shelter on the island of Shikoku. She lost her home when her owner was hospitalized but, though initially shy, she has easily made the transition to a new life for two big reasons: Kilda loves people and she loves to play. If a person is willing to throw a ball for her, she will be over the moon. 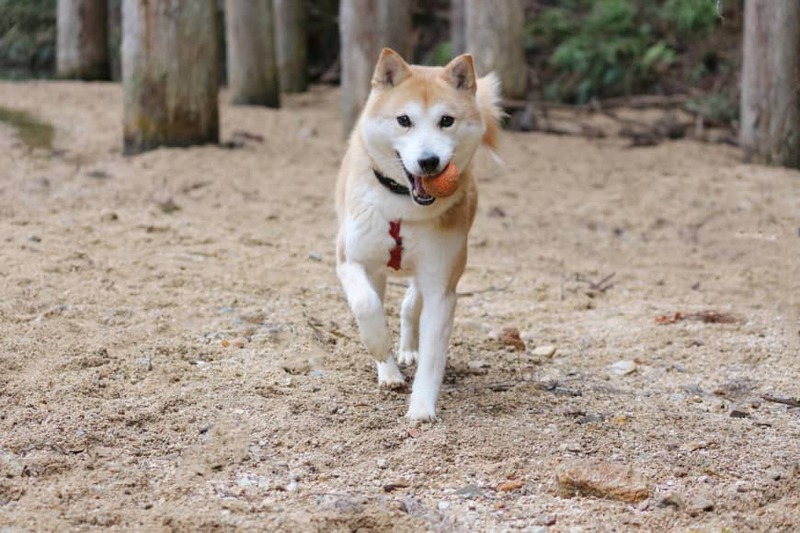 Throw a ball and Kilda will find it and bring it back — no obstacle can stop her. She will run and swim to get that ball back to you. Trust us, it will be returned! Neither snow nor rain nor heat nor gloom of night will stay this girl and, believe me, she tops the postal service any day! Kilda is 4 years old, happy and healthy and she loves other dogs, too. At just over 14 kilograms she’s the perfect size for small places. As long as someone will play with her, Kilda is a home run!